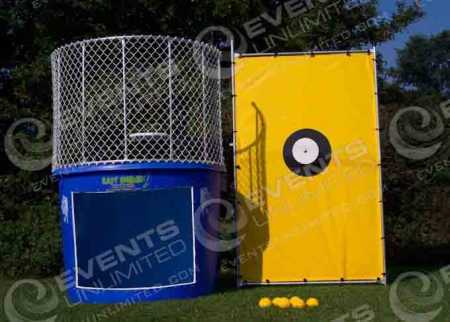 Dunk Tank Rental :: Dunk Tanks for Rent :: Picnics, Carnivals, and MORE! 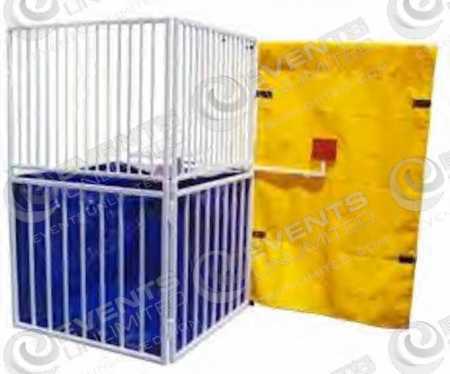 Dunk tank rentals in a variety of shapes and sizes. We have a fleet of dunk tank rental options available to meet the needs of party, picnic, carnival, festival, and other events. We also offer other great Water Games and fun options for special events. 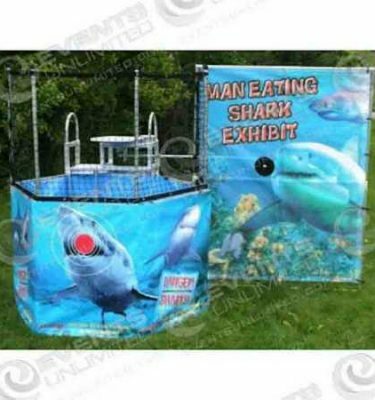 Did you know we can also custom brand our dunk tank to fit your event, advertise your logo, or highlight a special promotion? Are you looking for something that you do not see here? Let us know how we can help you with your upcoming event!